Applied to polishing and drawbench of different vessels workpiece, these products can revise the flaw and welding line. 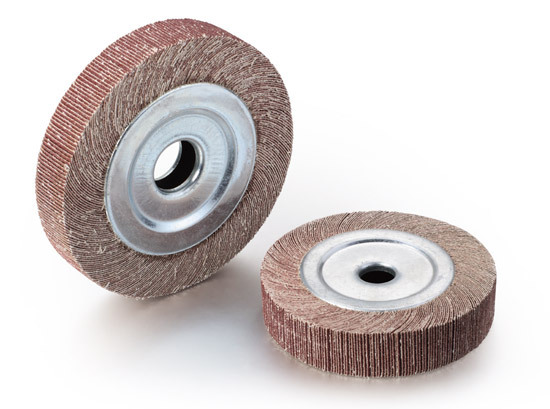 Sharp grinding, high security, high efficiency and any shape if demanded abrasive cloth grit. 5:1 Standard packet assembling for a hard,aggressive abrasive mop. 3:1 Packet assembling for a medium abrasive mop. 1:1 Packet assembling for a very soft, highly-flexible abrasive mop. Grit from to Max.RPM Packing unit/pcs.